New Orleans lost two more greats this past week with the passing of consummate drummer Bernard 'Bunchy' Johnson and singer extraordinaire Marva Wright. Those links will take you to Keith Spera's fine obituaries on nola.com, have you not yet seen them. Having long been a fan of both artists, I thought I would take what passes around here for a brief break from our pursuit of vintage vinyl grooves and feature songs that offer at least a taste of what each had to offer. I don't plan to have Marva's up for long before I move it to the playlist for the HOTG webcast - so take note. The track that Bunchy played on will be around longer, as it is still an ongoing part of one of my feature posts...but more about that later. If you have not been familiar with either artist up until now, I hope these songs will entice you to seek out more from them. Until her late 30s, Marva Wright seemed content singing gospel music in her New Orleans church and raising her family. Her only early foray into the world of commercial music had been doing some background singing at Allen Toussaint's Sea-Saint Studios in the 1970s. As she became more able to work outside the home, Marva took to heart the encouragement she got to sing professionally and decided to direct her talents toward the blues. One of her early gigs was at Tipitina's, opening for Koko Taylor in 1987; and she quickly starting making a name for herself around town with her built-in stage presence and tremendous vocal chops. In 1989, she got another break that allowed more people (including me) to find out about her, when a song recorded at one of her sets was included on the CD, Tipitina's In Person, a compilation on the club's own label of live performances by various up and coming artists. Not long thereafter, Marva was tapped to release her first solo CD, Heartbreakin' Woman, on the new but short-lived Tipitina's Records (re-issued by Mardi Gras in 1998 - but with a different photo! ), which helped to increase her following. Her next studio project, Born With the Blues, recorded in New Orleans and released in Europe in 1993, was set up by Philippe Le Bras for the French Sky Ranch label. Executive producer Le Bras and session producer Carlo Ditta of Orleans Records went all out to give Marva the high quality musical backing and recording expertise that her marvelous, powerful vocal instrument deserved. To that end, the sessions featured remarkable ensemble work by a host of the best local players, and an excellent mix of material ranging from reworked classics (like her off the chain take on "Hound Dog") to well-crafted, more recent tunes by local writers. As the producers and Marva herself wisely realized, limiting the repertoire to just blues would have been a disservice to her massive interpretive gifts. Thus, the album featured the fusion of blues, soul, funk and gospel influences that could be found at Wright's live shows; and the lead-off track, "The Glitter Queen", a Wright original, is an exuberant example. This cookin' cut speaks for itself - an undeniable, in-your-face opening statement. Wilbert 'Junkyard Dog' Arnold was the drummer of record on this number; and his broken-field, state of the art New Orleans punchy funk established a killer groove-fest straight from jump. Simply letting the other fine players here intuitively find their spots and get down to business must have been a producer's dream. Benny Turner was on bass, Marc Adams on piano, Sammy Berfect (Marva's brother) on B-3 organ, and Anthony Brown on guitar, with an outstandingly wicked horn section arranged by trumpeter Tracy Griffin. Last and by no means least, the great James Rivers sat in and smoked his tenor sax solo. The lyrics might not have done much more than establish with certainty where Marva was proudly from and what her ostensible genre niche was, but her forceful delivery alone let you know in no uncertain terms that you were dealing with a serious contender for divahood. Had Born With The Blues also been released and promoted in the US at the time, I think Marva might have enjoyed much more recognition around the country. As it was, her credentials grew in Europe and certainly at home as a result of the CD; but, even when it was re-packaged and finally released domestically in 1996 by Point Blank/Virgin, the album did not get an adequate PR push and fell by the commercial wayside. In 2006, it reappeared, again as an import, on Shout with a new (and better) package and title, Do Right Woman: The Soul of New Orleans. It seems that most of the tracks are also available as online downloads. So, however you can get it, grab one, because, in retrospect, I think it really was Wright's career-best album. Still, she went far thereafter, with at least seven more CD releases to her credit and many years of popularity performing in her hometown and on the road. Even when her health was not the best, Marva could still deliver the goods onstage, as evidenced by a YouTube video of her doing this song live at the French Quarter Festival in 2009. She always had a great band backing her, with some of the best players in town passing through it; and, she definitely did establish herself as one of the city's beloved, truly soulful divas over the course of her late-blooming career. Wish I had the luxury of time enough to go through my archives and find the many examples of Bunchy Johnson's engaging grooves I know are in there. Off the top 'o my head, I recall he played behind Jon Cleary early on, appearing on his first album, which I did a brief post about way back in the first days of HOTG (the song I posted, "C'mon Second Line", remains in rotation on the HOTG webcast); and I know Bunchy was also one of the drummers Allen Toussaint used on his fine 1996 NYNO CD, Connected. But on short notice and not to step on any legal toes, I am going with something I have on hand and know I can use, a track from guitarist Teddy Royal's first CD, Morning Groove. This particular cut is also available to hear in the second part of my big feature on Teddy's career from back in 2007, as some of you may recall. I am pulling it out again, because I find the tune and Bunchy's playing on it impressive. 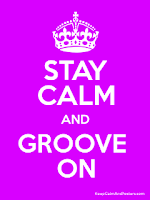 It's a musically sophisticated composition that still has grit and can fill a dancefloor. Throughout its multiple parts, it swings with an overall Latin-influence that Bunchy captured perfectly while still breaking up his drumming enough to bring the poly-rhythmic thrust back home to New Orleans. And his skill made it sound easy to do. As I pointed out in that earlier post, Wardell Quezergue arranged "Josiah" for Teddy's session; and Bunchy worked with Quezergue elsewhere too over the years. I've had an example of that in rotation on HOTG Radio for a good while now. It's a tune that Johnson wrote and plays on called "Pass It On", his tribute to the tradition of the Mardi Gras Indians, that appears on the 2000 CD, Maestropiece: Wardell and his slammin' Big Band, which is sadly out of print. That album also had another of Bunchy's compositions on it called "Crazy Mary", which allowed him to display a his spoken word chops, as well. Keith Spera mentioned that Bunchy played in the Deacons in his high school days, a youthful jazz/funk outfit that contained some members who went on to form Chocolate Milk. My friend and drummer for CM, Dwight Richards, had told be about being in the Deacons himself, and playing on their only 45 (which I have and intend to post in due time). So, I checked back in with Dwight the other day; and he told me that he knew Bunchy from going to high school with him and being his drum section leader there; but he did not recall Bunchy playing in the Deacons, unless be joined sometime after Dwight left the group, which is possible. Anyway, as you can tell by the other information in his obituary, Bunchy had a long and active career and was well-respected and appreciated by many of his peers on the local music scene, though his name never became well-known to most music lovers, who just move to the grooves and don't bother to ask who is making them happen. Sure, the funky and versatile New Orleans drum line lives on in many other fine players; but it's hard when we lose one like Bunchy Johnson, as each has such a unique mode of expression that can't be re-created; and it's doubly difficult to take when we know that someone of his stature could have had many more years of productive groovin' left to give. Our loss is the cosmic rhythm section's immortal gain. Here's an groovy example of Bunchy playing live with Jeremy Davenport more recently at the Louisiana Music Factory. Via Alex Rawls at Offbeat, I learned of Rockie's passing the other day. Alex thoughtfully emailed to ask permission to link to my post on Rockie and use my photo of him at Jazzfest on their brief website notice. Rockie's "official" obituary can be found at nola.com*. Sad to hear he's gone. I'll have to dig out the one other 45 I have by him and put it up - as time permits. *And by the way, nola.com used my label shot of Rockie's first 45 without credit or asking. Not that I really mind, but . . . . I've spent the last three weeks shuttling back and forth between Lafayette and Memphis, because my mom is in the hospital up there recovering from a nearly fatal heart attack. It has been touch and go at several points; but thankfully she keeps slowly improving, though she remains in minimal intensive care at this point. My dad is hanging in there, too, through all the stress of waiting and wondering. It's been an emotional and medical roller-coaster ride for all concerned and isn't over yet; but we've had some great support from the hospital staff and our friends and family. We appreciate all they've done and look forward to having my mom with us for a long time to come. Flying back into Lafayette one night last week, I was looking out of the window prior to landing and saw what at first appeared to be a strange, bright light below, keeping pace with the plane. It took me a few seconds to realize that it wasn't a UFO but the nearly full moon's shimmering reflection breaking up and coming back together on the swamps and wetlands we were passing over on our approach. It was a trippy, welcome-back-to Louisiana experience; and, after getting messed with by that moon, I thought I'd dig out a rare Smokey Johnson 45 I'd been meaning to post for over a year now. Working this up has helped me think about something other than medical issues . . . for a few spare minutes here and there, at least. The time is right for some funky moon music. Enjoy. According to the R&B Indies, the short-lived Intrepid label, based in Chicago and distributed by Mercury, was only in operation between 1969 and 1970; and, going by the sound of this track, that seems about right. Cut in New Orleans, "The Funkie Moon" has the feel of a calculated stylistic cross between the Josie-era Meters and Sam & the Soul Machine, two impressive, popular, inter-related groups on the club scene who helped bring funk to the forefront in the city. Recently hired as the studio band for Allen Toussaint and Mashall Sehorn's Sansu Productions, the Meters at this point were just beginning to enjoy some national exposure of their own with a string of instrumental hit singles, while the Soul Machine's recording career held great promise, but never got cranked up. A key figure in the emergence of the city's particular variety of funk, drummer Smokey Johnson had been laying down his uniquely poly-rhythmic grooves on countless local recording sessions throughout the 1960s. His beat expertise made him a favorite of producers Dave Bartholomew and Wardell Quezergue; and it was for the latter that he cut his own important, groundbreaking proto-funk instrumental in 1965 on Nola, "It Ain't My Fault", which I featured here back in 2007. 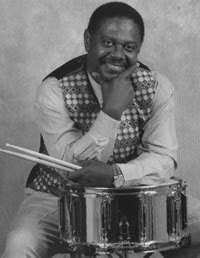 You can read more about it and Johnson via that link; but, suffice it to say, his approach influenced many other outstanding New Orleans drummers coming up in that decade, including 'Zigaboo' Modeliste (Meters), Dwight Richards (Chocolate Milk), Herlin Riley, and Johnny Vidacovich. In a glaring example of music business irony, this uniquely gifted innovator wound up lending his talents to a side obviously designed to resemble a Meters' record (though with the addition of some hot sax soloing). You can chalk that twisted strategy up to hustler/producer Joe Jones, who surely was seeking to cash in on the cachet of Toussaint's attention-getting house band; but, though blatantly derivative, "The Funkie Moon" was still a well-executed, cookin' track, with Johnson attacking the drums convincingly in the break-em-up style of his young protege, Zig Modeliste. It deserved better than the instant oblivion it got with Intrepid. I don't know how or why Joe Jones placed this single with the company, which in its short run seemed to have released mainly pop and/or rock records that had little or no impact; but it certainly wasn't the right place for "The Funkie Moon" to shine. As pointed out in my previous piece on Smokey, Jones and Johnson had some history prior to this. In 1963, the producer/promoter took a number of local vocalists to Detroit to audition for Berry Gordy at Motown, bringing Smokey and other musicians along to accompany them. His abilities so impressed Gordy and company that they asked Johnson to stay on after the others (unsigned save for Earl King) had gone; and so he did for a while before returning home, showing the session drummers up North some of the techniques needed to become funk brothers. But, back to the record at hand. I am going out on a fairly sturdy limb when I assume that the company Smokey kept on this session, the so-called "Joe Jones Studio Band", were, excluding Jones, the names listed with Johnson on the writers' credits for the song: guitarist and co-producer George Davis, organist Sammy Berfect, saxophonist James Rivers, and bassist George French - an outstanding line-up who surely made the tune to Jones' order. Davis, Rivers, and French, along with Johnson, were all seasoned regulars on the local recording scene; and most of them very likely (Davis for certain) had played on some of Smokey's five earlier singles as a featured artist for Nola, and maybe, too, on another of his instrumental rarities, "Smokestack" b/w "Bullseye" on the one-off F.B.Q. label. Of course, to convincingly fake the Meters, you need the A-team. It may be just an uncomplicated, standard-issue soul/funk instrumental, but "Tippin' Lightly" at least doesn't summon any distracting comparison with Art, George, Leo, and Zig. Smokey's playing here was more naturally his own, I think, and shows how he worked in and around the pocket of a groove, breaking it up without losing the punches - never becoming rhythmically abstract. This is why he was so sought-after as a studio drummer, as he could seamlessly blend his funked-up accents into most any song format, so that they were not immediately obvious, but gave the tune more substance, more groove to move to. With such gifts, it's no wonder the cats up at Motown had coveted what he had going on and co-opted what they could of it. Another reason to value this rarely heard B-side is George Davis letting loose with an off-the-cuff signature syncopated solo steeped in jazz, blues and soul. It wasn't long before Davis left town and began backing some big names in jazz. Smokey had a second, even more obscure 45 for Intrepid, "Slippin' And Trippin'" b/w "The Funkie Moon, Pt. 2" (#77021 - anybody have a copy? ), tracks which would seem to have come from the same sessions as the first release. As far as I can tell, it was the last single ever to bear his name. Though he could have been a highly paid session man in any major recording hub, the unassuming Smokey Johnson worked in his hometown for much of his life. From his sessions backing Earl King on Imperial in the early 1960s through "It Ain't My Fault" and myriad session calls, he made profoundly significant contributions to the development of New Orleans funk, only to see the profiles of the younger proponents he had inspired eclipse his own. Just a year or two after this single sank, he joined Fats Domino's touring band, quickly becoming their vital rhythmic engine. It was an association that lasted 20 years, until Smokey suffered a stroke in the early 1990s that disabled his right arm and effectively ended his career. Fortunately, admiration lives on for this often uncredited player, whose credentials might have been forgotten, were it not for the handful of records in his name that continue to amaze and delight intrepid funk investigators.